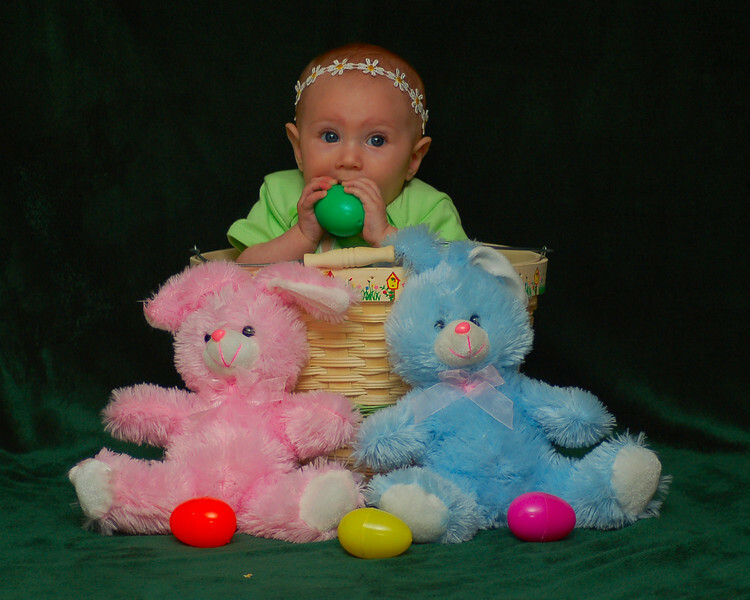 Happy Easter from Izabella and Some Bunnies. Such big baby blue eyes! Too cute.........Izabella is a doll!!!! Happy Resurrection (Easter) Sunday!!!! What an adorable Easter portrait of little Izabella.. Wonderful color and she apparently is enjoying the attention!